In this latest entry in the #1 New York Times-bestselling series, Skippyjon Jones, the Siamese cat that thinks he's a Chihuahua dog, stars in a Snow White-esque fairy tale set in the winter wonderland of his imagination. Includes a bonus CD. Full color. “I was the last child and only daughter born to Edward and Mary Francis Byron on August 20th, 1951 in the city of Waltham, Massachusetts. My oldest brother Ted was very good at art and my middle brother Kevin kept me laughing with his funny stories. Growing up we didn’t have much money. My mother was very ill, and to make matters worse, I was extremely shy. All my teachers complained that “Judith needs to speak up in class, Judith needs to improve in arithmetic, and Judith needs to finish her work on time.” But no one complained about my artwork. On paper I drew myself a world where mothers were healthy and teachers were kind. My life was perfection in pencil. Then I met my husband, Bob, and for the first time in many years I could step off the 9 to 5 treadmill and devote all my energy to creating a portfolio of children’s book art. That was until two little baby girls were born. Then motherhood became my favorite new job. Over the years I read hundreds of books to my daughters. Inspired by the art and words, I was moved once again to finish my portfolio and take it on the road to New York. That’s when I met Lucia Monfried. The great thing about my job is that one day I can be writing about history, as I did in Mr. Emerson’s Cook. The next day I’m drawing a wacky old woman for I Know an Old Lady Who Swallowed a Pie. Or I can bring to life a beloved pet cat in my book The Grannyman. I live in a constant state of 3rd grade bliss – making up stories and drawing pictures. Isn’t that what we all did as children? Summary: Kids in grades 3-5 and a parent are invited to the Ballard Branch for an informal discussion of a great book. This month we'll talk about "Time Cat" by Lloyd Alexander. Alexander was born in Philadelphia in 1924 and grew up in Drexel Hill, a western suburb. His father was a stockbroker and the family was much affected by the Great Depression. His parents read only newspapers but they did buy books "at the Salvation Army to fill up empty shelves." Lloyd was a reader of books: "Shakespeare, Dickens, Mark Twain, and so many other were my dearest friends and greatest teachers. I loved all the world's mythologies; King Arthur was one of my heroes; ..."
By fifteen he had determined to be a writer. His parents found him a practical job as bank messenger, which inspired a satire that would become his first book published fifteen years later, And Let the Credit Go (1955). He graduated at age sixteen in 1940 from Upper Darby High School, where he was inducted into the school's Wall of Fame in 1995. His parents placed him at Haverford College just down the road from home (although he left after one term). Years later he observed, "My parents never read a book. I never in all my life saw them sit down and read a book. So it was always a mystery to them – where do these books come from, and who actually writes them? And our son wants to go into a business like that?!!" He ignored their warnings and "lived to regret not listening". Alexander judged that adventure, not college, was the best school for a writer, and that US Army participation in World War II was an opportunity. The army shipped him to Texas where he played the cymbals in band and the organ in chapel. He received combat intelligence training in Maryland, then in Wales, before late wartime deployment in western and southern borderlands of Germany that had been conquered. He rose to be a staff sergeant in intelligence and counterintelligence. After the war Alexander attended the University of Paris, where he met Janine Denni. They were married in 1946 and soon moved back home (for Lloyd) to Philadelphia. Alexander died on May 17, 2007, two weeks after the death of his wife of sixty-one years. He is buried at Arlington Cemetery in Drexel Hill. His daughter, Madeleine Khalil, died in 1990. 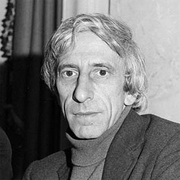 Lloyd Alexander is currently considered a "single author." If one or more works are by a distinct, homonymous authors, go ahead and split the author. Lloyd Alexander is composed of 5 names. You can examine and separate out names.